This is not an old news about automated teller machine (ATM) that can purchase Bitcoin and other crypto coins because recently, the New York State regulators granted a virtual currency license to a fintech company, that allows them to offer a 'Bitcoin purchasing feature' to any debit card owner in New York City. 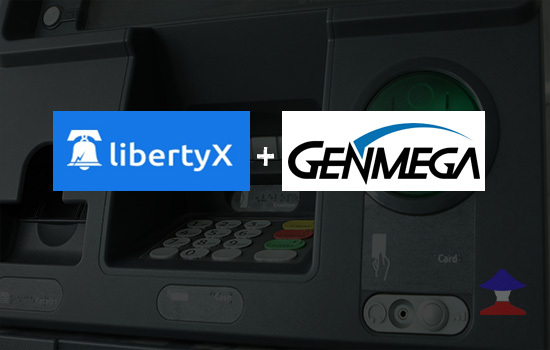 LibertyX is the very first fintech company granted a license by New York State Department of Financial Services to offer a debit Bitcoin ATM card in the US. The company first launched the said Bitcoin ATM year 2014, then last year they partnered with Genmega to launch the first debit Bitcoin ATM in USA, extending Bitcoin purchases to over 100,000 ATMs around the country. So if a NY resident want to use a debit card to buy Bitcoin, they will be needing to have a LibertyX account first via a mobile application. And only approved account holders can purchase up to $3,000 worth of Bitcoin per day. According to the DFS Press Release, the New York State Department of Financial Services (DFS) aims to continue the advance responsible innovation in New York's Fintech Industry. "DFS continues to rapidly and responsibly respond to financial services market innovations by licensing technology-based money transmitters under New York’s money transmitter law; online lenders under New York’s banking law; and virtual currency exchanges under New York’s financial services law. To date, DFS has approved sixteen charters or licenses for companies in the virtual currency marketplace," DFS stated. The LibertyX leaders are very happy about the announcement and delighted from the early blessing they've received from the New York regulators. Department of Financial Services (DFS) has also granted a license to Robinhood Crypto, that allows individuals to invest in publicly traded companies and exchange-traded funds listed on U.S. stock exchanges using smartphone mobile app. Comments or suggestions about "Confirmed: All New York Traditional ATMs Can Now Buy Bitcoin" is important to us, you may share it by using the comment box below.